A fun game to practice addition! 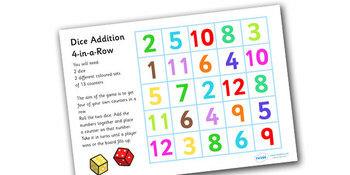 Roll 2 dice, add the 2 numbers together, and place a counter on that number. See if you can get 4 in a row!